New spray bottle for Americol - Bark Innovations B.V.
Bark Innovations has developed a proprietary spray bottle on behalf of Americol from Zaandam (the Netherlands). Americol develops, produces and distributes personal care products, cleaning products, hand soaps, disinfectants and maintenance products for industrial and institutional use. Americol looks after the entire production process and offers a wide range of recipes in various packaging lines. 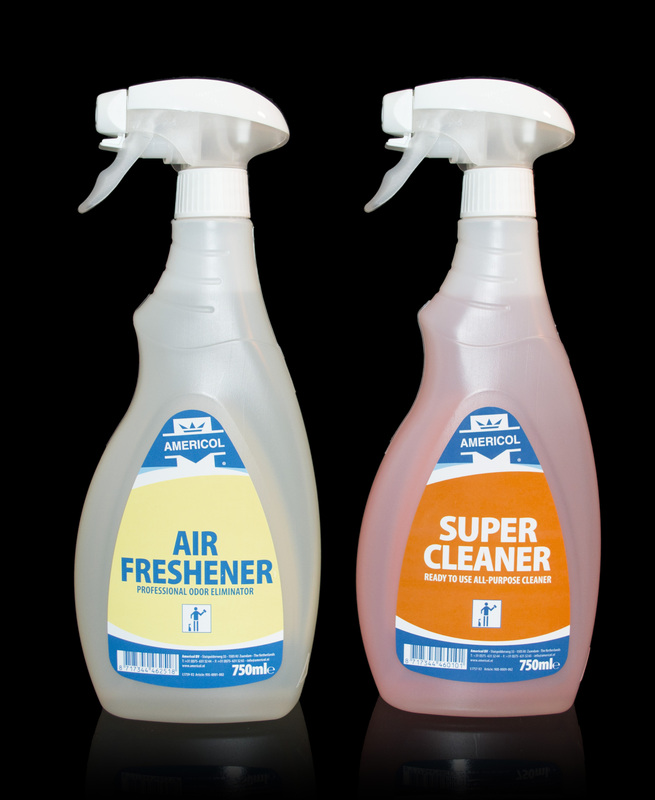 The product range consists of more than 4,500 product/packaging combinations and has now been extended with a 750-ml bottle/sprayer combination with a so-called lock feature. This means the sprayer cannot be removed from the bottle. The sprayer comes from Afa Dispensing Group and is fitted with a child-safe nozzle for maximum safety.